Do you long for the days when jazz was punk? Not meaning music that is loud and out-of-control. but punk as in innovative, nonconformist, and seditious. One hundred years ago, the music of Louis Armstrong was punk, and a few decades later so was Charlie Parker's revolutionary bebop. You probably did not witness those rebellions, nor Ornette Coleman's free jazz of the 1960s. What would you give to be there for the "what-did-I-just-hear" moment? 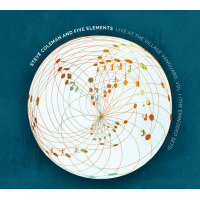 Steve Coleman and Five Elements deliver that double-take experience with their performance on Live at the Village Vanguard, Vol. 1 (The Embedded Sets). 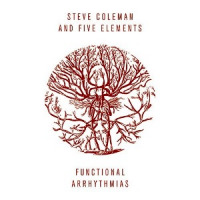 But then again, Steve Coleman's music, beginning with his first releases in the mid-1980s, has always turned heads. 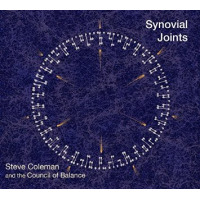 Like the music of Charlie Parker, Coleman's sound is simultaneously contemporary, futuristic, and ancient. The unusual titles here are transliterations of Egyptian hieroglyphics utilized to develop his sound, which is very much related to spoken passages. Coleman has explained that he knits together chains of tonal dyads to create embedded melodic structures. Simply stated, the quintet engages in a conversation. These improvised colloquies though, can only be had within a very tight working group. 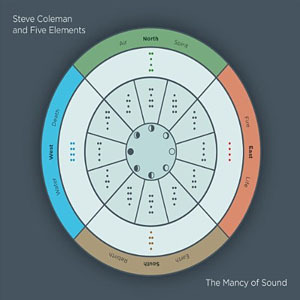 Five Elements are composed of Coleman on alto saxophone, bassist Anthony Tidd, drummer Sean Rickman, andband leaders in their own righttrumpeter Jonathan Finlayson and guitarist Miles Okazaki. 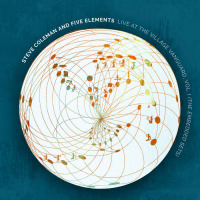 The music is culled from three nights of recording at The Village Vanguard in 2017, a yearly residency Coleman began in 2015. The sounds grab hold from the first track "Horda" with Coleman introducing his composition (as he does often here) unaccompanied. He shapes much of the music with visual and sonic cues. His band, ever ready to follow, parlay and push back. There is a fluidity to the music here and a boldness. Finlayson plays the perfect foil, negotiating the complexities of the compositions and acting as counterpoint to Coleman, while Okazaki threads the needle to tie the music together. Live might be the best way to experience Coleman's music. He has released several live sessions, the first being The Tao Of Mad Phat < Fringe Zones > (RCA, 1993) and the last Resistance Is Futile (Label Bleau, 2001). Outside of a studio his staccato lines, metamorphosing thoughts, and threads of sound come alive against his signature M-BASE grooves. You might find yourself turning the volume dial up louder and still louder. Track Listing: (CD1): Horda; Djw; Little Girl I’ll Miss You/Embedded #1; idHw; twf; Figit Time; Nfr; Little Girl I’ll Miss You; Change the Guard; (CD2): rmT/Figit Time; Nfr; idHw; twf; Horda; Embedded #1; Djw; rmT/9 to 5. 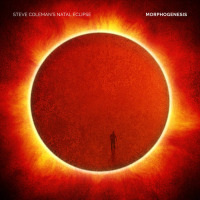 Personnel: Steve Coleman: alto saxophone; Jonathan Finlayson: trumpet; Miles Okazaki: guitar; Anthony Tidd: bass; Sean Rickman: drums.